The Rugtek is a Value Performance brand from the house of Posiflex. Rugtek is positioned as an affordable luxury brand that offers the best of hardware that can be used in retail, cafes, grocery, ticketing, kiosk, white goods, Food & Beverages, Telecom, Jewellery, Department Stores, Super/Hypermarket, Flower Shops etc. 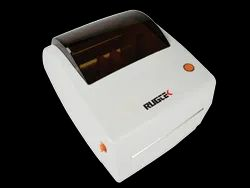 The Rugtek label printers offers different purpose printers that are classified under Portal and Non-Portable version, offering a reliable printing solution. The Rugtek 4 inch DirectTransfer Barcode Label Printerfor on demand printing, offers high quality label, barcode printing in one compact unit. It features fast print speeds at 4-5 inch/s and prints at a clear 203 x 203 dpi. It handles a variety of print stock for labels, receipts and tickets and offers continuous printing on liner labels. It is compatible with leading business label software applications using Windows® drivers and are widely used in White goods, Food & Beverages, Telecom, Jewellery, Department Stores, Super/Hypermarket, Flower Shops, textile store. 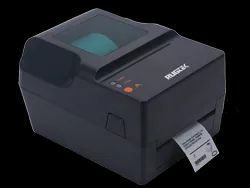 The Rugtek 4 inch Thermal Transfer Barcode Label Printer for on demand printing, offers high quality label, barcode printing in one compact unit. It features fast print speeds at 4-5 inch/s and prints at a clear 203 x 203 dpi. It handles a variety of print stock for labels, receipts and tickets and offers continuous printing on liner labels. It is compatible with leading business label software applications using Windows® drivers and are widely used in White goods, Food & Beverages, Telecom, Jewellery, Department Stores, Super/Hypermarket, Flower Shops, textile store. 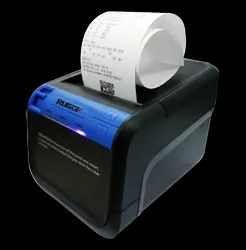 The Rugtek RP80 - V1 Series Ticketing & Liner Less Label Printer is ideal for a wide range of applications including pharmacy and photo labeling, retail price verification and fast food/deli labeling and Mutiplex Ticket . It features fast print speeds of up to 350mm/sec in high-speed mode. It easily handles a variety of print stock for receipts, labels and tickets. And it offers continuous printing on liner labels and an automatic label peeler option.